I am sure you can look at company and/or your teams and see a specific area that is in desperate need of change and more than likely you are in the midst of change even as you read this. Therefore the question becomes…As you see the need for change and begin to move your teams forward to implement those goals, are you in fact taking your team with you? Are they catching the vision? Are they experiencing the same motivation towards the goal? Are they understanding what needs to happen in order to move forward? 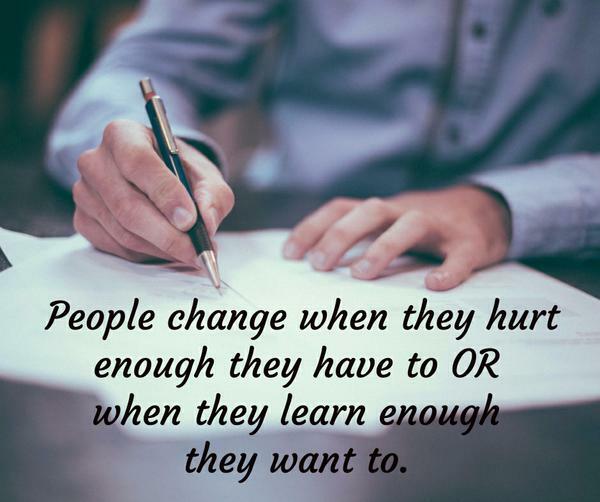 Change is hard regardless of your team dynamics and our team at DREAM Workplace understand this. Therefore,we’ve included this list so you can ensure your initiatives for change will GROW you forward TOGETHER! Poor Communication – Powerful and sustained change requires constant communication. It’s a simple as that. Without a continual reminder of where you are going as a company and a team, it’s easy to get side track with tasks that move you away from the desired change. Keep this new change continually on your lips so your teams understand it’s importance! Poor Follow-Up – Change initiatives often fail because not enough time and effort is put into the follow-up needed to create change is sustainable and long-term. Persuading people to change their behavior or re-direct their focus won’t produce lasting results unless leaders effectively provide periodic support until the change becomes habitual. Put it on your weekly calendar as a reminder to “check-in” with your teams! No Invitation for Input – One of the biggest reasons we see change initiatives fail is because no one thought to invite input from the employees who will actually be responsible for implementing and living with these daily consequences. Employee involvement is an integral part in ensuring each individual feels ownership in not only the change discussion but also the implementation process. Changing for Change Sake – If there is not a clear and undeniable benefit for change, there’s no need to rock the boat. You would just be creating unnecessary hurdles and in the end risk losing employees or losing their trust for future projects that would actually benefit them and the company. Hopefully this list was helpful in serving as quick checklist to see how you are doing implementing change and any steps you need to start or stop doing in response to this list. Here’s to change that leads to growth!